Chef Momo’s was established to supply fresh high quality products at an affordable price. Our kitchen in Station St. Malvern, bakes a popular and extensive range of cakes, tarts, slices, fudge brownies, friands and cookies. Our products are baked using the best local ingredients that are available and are meeting a market demand for full flavoured “real” bakery goods. There are no artificial ingredients, or pre- mixes used. There are many options available in the range that are flourless and gluten free, and we can also provide for those who want egg free, nut free and dairy free. Chef Momo’s have a team of dedicated staff committed to creating a range that is delicious and beautifully presented. We are constantly challenging ourselves to further improve the quality of the range and develop new innovative products. Chef Momo’s is primarily a wholesale business supplying distributors, caterers, cafes, restaurants and function centres. We are focused on providing our customers with excellent service and premium products that will return a high margin for them. We have a reputation for consistent quality and being able to accommodate the needs of our clients whether it be individualised decoration, portion control, labelling or packaging. At the same time we have the capacity to manufacture large volume orders and meet the requirements of some of Australia’s well known franchises and distributors. Retail customers are welcome to visit us in our Station St kitchen where they can experience the aromas and flavours of freshly baked cakes and slices. Our cakes and slices are the talking point of many birthdays, weddings and special events as well as office boardrooms and Christmas functions. 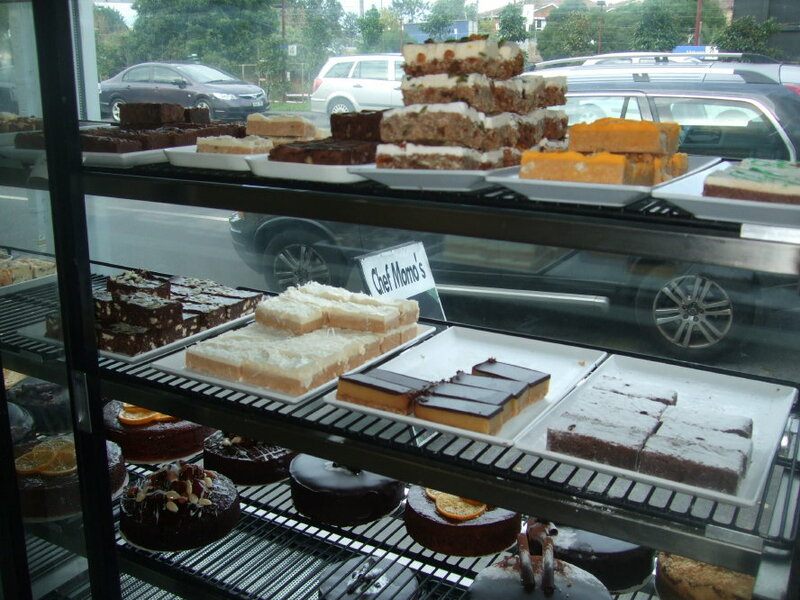 We can now also deliver cakes in Melbourne to make things easier for you and save you time when organising a function. Our website was designed by Temerity Web Solutions who do a great job. Feel free to get in touch with them for any web-related questions.